Battery Ready Solar Power System: What Is it? Do you have one? The residential battery energy storage revolution is upon us! It’s an exciting time that promises to enable Australians to gain more value from their solar generated electricity and further reduce their reliance on the grid. A question many Australian home solar owners will be asking is whether their solar panel systems are battery compatible or upgradeable. In a nutshell: Do I have a Battery Ready Solar Power System? Yet-to-be solar purchasers may also be wondering whether to buy a battery ready system now or if they should they wait. When describing a battery ready solar power system, ‘Plug And Play’, ‘battery upgradeable’, ‘compatible’ and ‘ready’ are a few terms being bandied about in relation to solar + storage. This is making the topic a little more confusing for all. Some of the new generation of residential energy storage systems are being promoted as being “plug and play”. Others will need the right equipment to plug into. In many cases that means the right solar inverter. Even in the “Plug And Play” scenario, there are some important issues to be aware of. The role of a solar inverter in a conventional solar power system is to convert direct current (DC) generated by the solar panels into alternating current (AC), suitable for use in the home or for exporting to the mains grid. In a system featuring battery storage, the inverter also needs to be able to route DC into the battery for charging. Either from the solar panels or via cheaper off-peak mains grid power. This is a very important distinction. Most solar inverters installed in Australia are not able to perform this added function, nor can they be upgraded. However, they can be AC coupled with some battery systems, including Tesla Powerwall. So, the inverter is key in determining if you have a battery ready solar power system. A new solar inverter will be required in many cases either to replace the existing one or as an addition. Some new battery systems will have inverter functions incorporated (the “plug and play” products). A system described as being “upgradeable” is a term that can be a little vague at times. Many systems are capable of “upgrade”. However, as indicated above, it may mean you need to acquire a replacement/additional inverter or other equipment. However, you’ll also be able to continue using your panels, the solar panel mounting system and wiring. It’s important to ask a solar company what they mean by “battery upgradeable”. There is a significant difference between “upgradeable” and “compatible” or “ready” in terms of hardware. As well as having a compatible inverter, a battery ready solar power system will also have a power meter in place. The necessary meter is a bidirectional device that optimises self-consumption of solar generated electricity and records the household‘s energy production and usage patterns. These devices also communicate data via a household’s internet connection to a central secure server. You can then access user-friendly reports via a web interface using a computer or hand held device such as a phone or tablet. The power meter is not only important as part of a battery system, but also in the lead-up to system installation. It indicates the amount of storage capacity necessary and helps confirm if a battery system will be a wise investment. In addition to needing a power meter and the right inverter (depending on the battery solution chosen), where the inverter is located can play a role. A system’s hardware may qualify as being battery compatible or upgradeable. However, if the installation is incompatible for energy storage, you may face significant costs in setting things right. Having a knowledgeable installer is crucial. Comparatively few solar installers in Australia have had the opportunity to gain expertise in installing battery systems. In summary, in order for a system to be truly battery ready, it must have the right components, installed correctly. If you’d like to learn more about battery retrofits in relation to the Tesla Powerwall home battery and the way they work with existing systems, view our new guide : how to retrofit Tesla Powerwall. Buy Solar Now – Or Hold Off? Solar has become cheaper over time, so the temptation may be to wait until batteries have lower price tags. 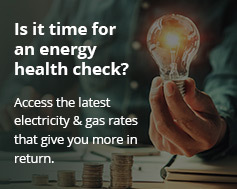 However, even if a solar power system drops $500 in purchase price over the next year, you may miss out on $1,000 in electricity bill savings in the meantime. And crucial information you’ll need to base an energy storage purchase decision on. The other wild card relating to solar prices are currency exchange rates that influence the cost of components. Prices can go the other way as they have done in the past. Save today and store tomorrow – get a quick quote on a battery-ready solar power system. Whether you’re a solar owner wanting to add batteries soon or a potential solar panel purchaser with aspirations for energy storage it’s important to get the right advice. That’s where Energy Matters can help. Our team is offering competitively priced next-generation battery systems from the world’s leading manufacturers – such as Tesla Powerwall – installed by knowledgeable solar + storage professionals. Click here to join our battery pre-release announcement list, call us on 133-SUN to learn more or get a quick solar energy quote on a battery upgradeable/ready solar panel system. Learn more about home battery energy storage.